Family week reaches hump day with this pick from my mother. 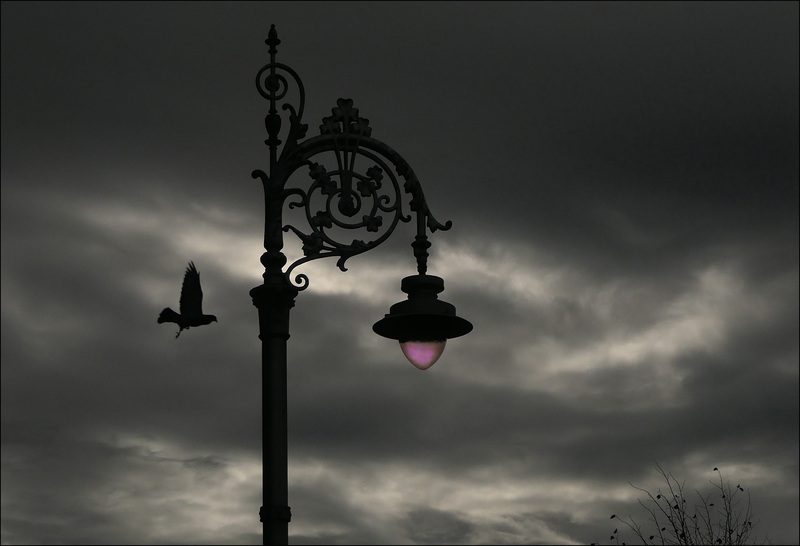 It’s a picture of a Dublin streetlight at dusk. However, the pinkish cast to the light is solely the result of Photoshop.¹ Please don’t visit Dublin and then get mad when night falls and the streetlights are just plain old white, like they are everywhere else. ¹Why did I do this? Because I felt like it. What other excuse do great artists need?